Two day Punjabi University Inter-College E-Sports Championship successfully concluded at Multani Mal Modi College, Patiala. Teams from different colleges participated in this tournament. College Principal Dr. Khushvinder Kumar was the chief guest of the tournament. He congratulated the participants of this special event which was included two years in the sports calendar by Punjabi University, Patiala. Modi College has organized and won this event three times in a row. He also encouraged the students to adopt technology in their lives and persuaded them to make good use of it. He also apprised them of the special importance of these games. 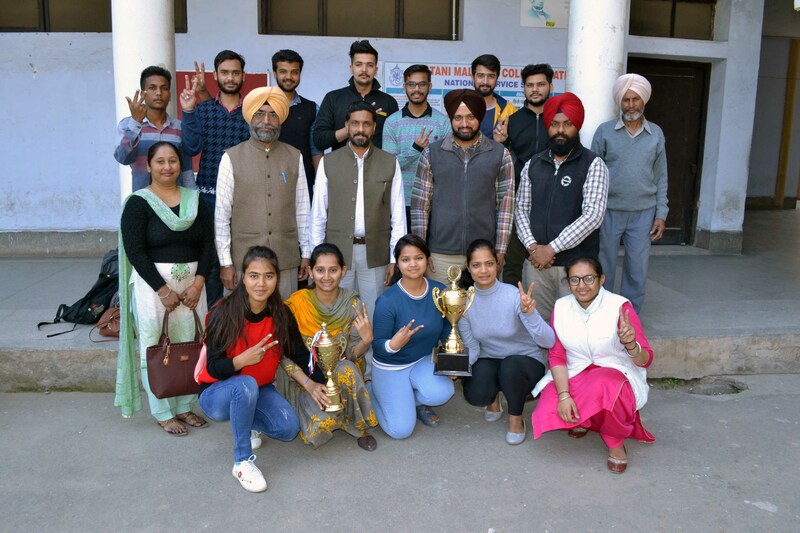 On this occasion, Dean, Sports Dr. Gurdeep Singh Sandhu said that in these competitions, Modi College (Women) team secured first position by defeating the team of University College, Mirapur. In the Men competition, Modi College team defeated the team of Punjabi University Campus, Patiala and got 1st place. In this tournament Kunal Sharma, Abhisaar Sharma, Navendu Sharma, Shubham Sikand, Harshdeep, Manoj, Yogesh, Palak Sharma, Nansi Bawa, Dupinder Kaur, Manpreet Kaur and Muskan Rattan students performed well. Upon successful completion of this championship, Principal Dr. Khushvinder Kumar appreciated the hard work of Prof. Nishan Singh, Head, Sports Department of the College, Prof. Harneet Singh and Prof. (Miss) Mandeep Kaur. S. Prince Inder Singh, Punjabi University Coach played key role in conducting this tournament successfully.